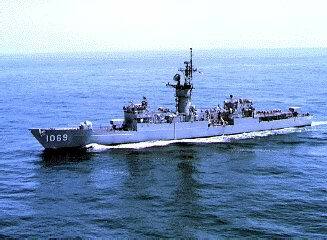 USS BAGLEY was the 18th ship in the KNOX-class of frigates. 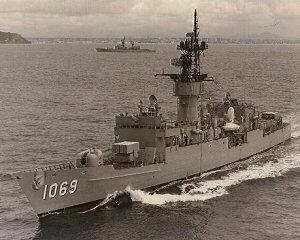 All ships in her class were built and commissioned as destroyer escorts, but were redesignated as frigates on June 30, 1975. Decommissioned on September 26, 1991, and stricken from the Navy list on January 11, 1995, the ship was later sold for scrapping. Scrapping was completed on September 19, 2000. This section contains the names of sailors who served aboard USS BAGLEY. It is no official listing but contains the names of sailors who submitted their information. 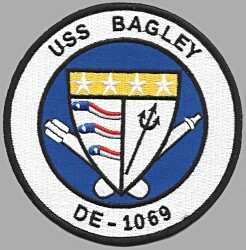 Click here to see which USS BAGLEY memorabilia are currently for sale on ebay.